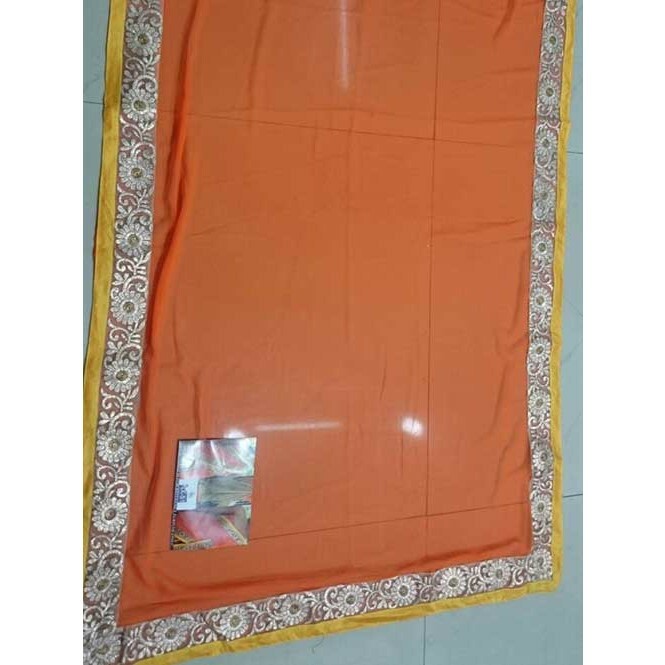 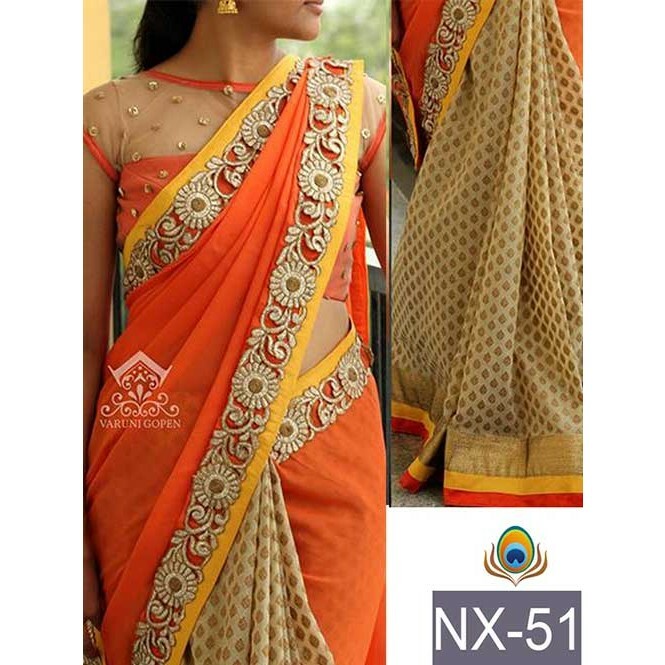 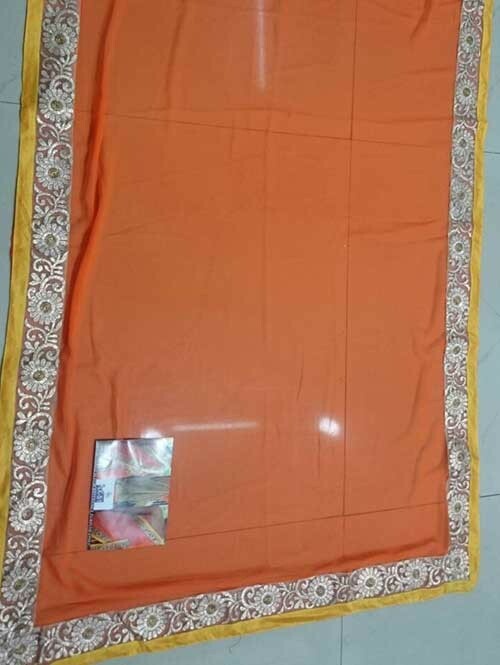 Impress everyone with your amazing traditional look by draping this Orange Colored Beautiful Embroidered Border Georgette and Banarsi Jacquard Saree. 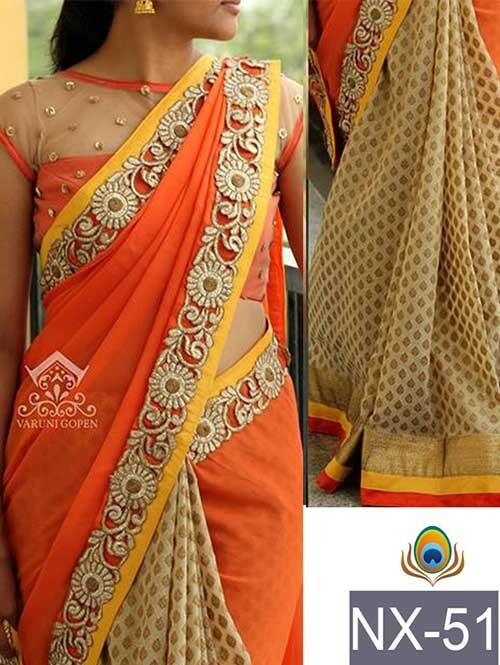 Featuring a beautiful print, it will definitely earn you loads of compliments from onlookers. 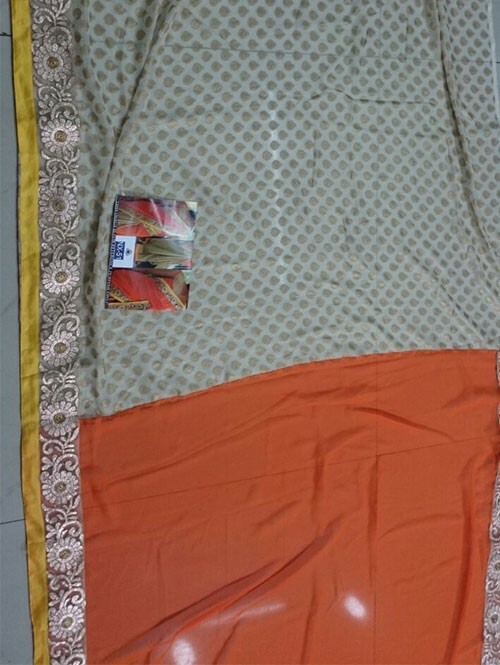 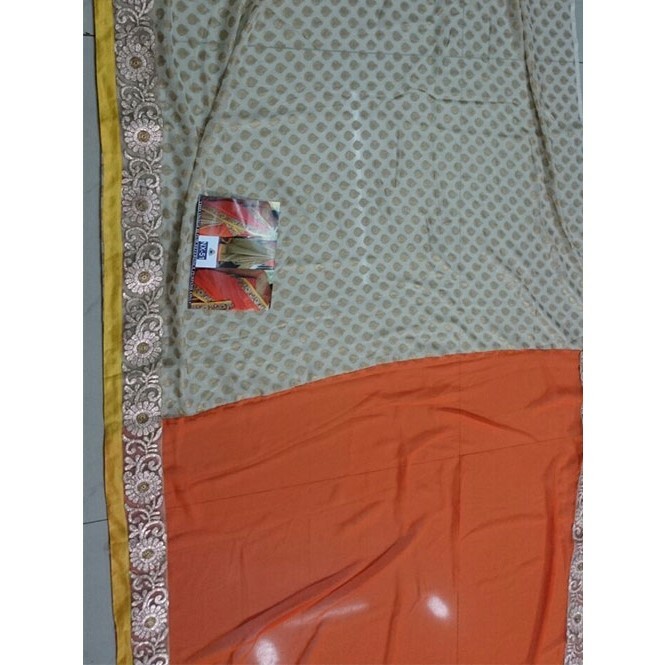 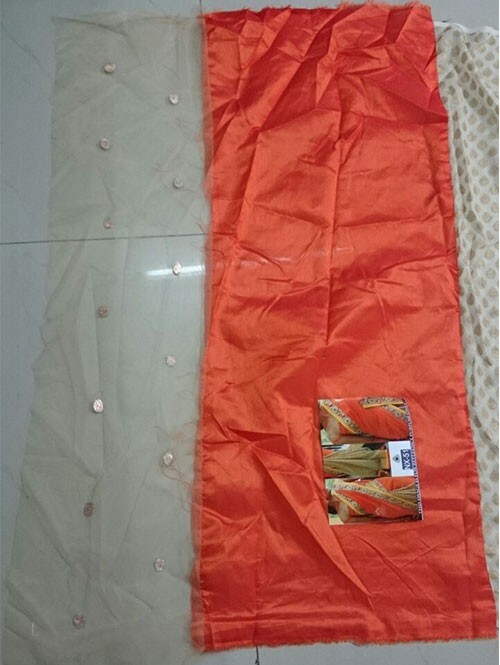 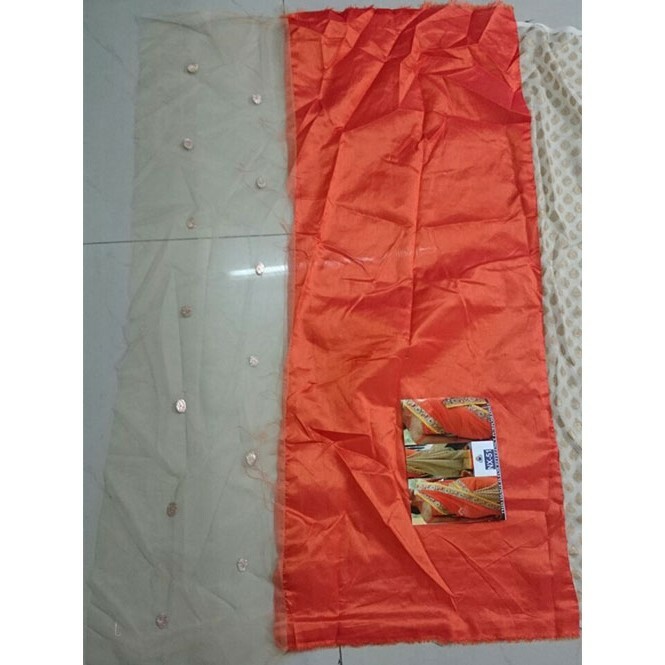 Made of Georgette fabric, it measures 6.30 m in length, including a 0.80 m blouse piece.